Let me say I think Sullivan and Kaplan are among the very best online journalists we have. I’m glad to say I count them as friendly acquaintances. I’m sorry to say I also think they have fallen victim of JFK denialism: the very Washington impulse to dismiss troubling evidence in the JFK story. Their take on JFK reminded me of one of those epigrams coined by New Republic editor Michael Kinsley for whom Sullivan and I both worked long ago. During the Iran-contra scandal of the 1980s, Kinsley noted an odd discourse that prevailed in the upper-ranks of the scandal-ridden Reagan administration. It is relevant to today’s JFK discourse. That’s the dubious logic at the heart of the JFK conspiracy debate that our leading pundits seek to quell: Because there is no proof beyond a reasonable doubt that any one notorious person conspired to kill JFK, it seems that everyone is innocent of wrongdoing. This is peculiarly blinkered way of thinking about a critical turning point in American history. Let us stipulate for the purposes of argument that Oswald fired the fatal shots alone and unaided. Why should that (alleged) fact end the discussion of the causes of JFK’s death? Everyone can agree that the murder of a sitting president in broad daylight was an epic failure of U.S. intelligence and law enforcement. Why do major news organizations only debate the credibility of “conspiracy theorists” in 2013 and not discuss the causes of the CIA’s failure to protect JFK on November 22, 1963. The plain fact is that if Oswald killed JFK, the CIA failed to perceive he posed a threat to the president. Yet no one at the agency lost their job, or even a promotion, as a result of that indisputable and lethal failure. The CIA hid the whole story and Helms and Angleton served another decade before their illegal activities caught up with them. But — the agency’s defenders will cry — these patriotic, honest, hard-working civil servants in Langley had no way of knowing the pathetic Oswald was actually one of the most cunning assassins in world history. Oh wait, the CIA was told he was a potential assassin, according to journalist Edward Epstein. It is well-known that in April 1963, Oswald took a shot at General Edwin Walker, a cashiered right-wing general and harsh critic of JFK’s allegedly treasonous liberal policies. Oswald had his wife take a picture of him with his rifle and he gave a copy of the photo to his friend, George de Mohrenschildt, an itinerant oil engineer who fed intelligence to the CIA to advance his business interests. On the back of the photo Oswald scrawled the words, “Hunter of fascists, Hah.” Oswald told de Mohrenschildt that he had taken a shot at Walker. The official story is that de Mohrenschildt’s information about Oswald’s attempted assassination of Walker never reached the CIA hands in who knew the most about Oswald. If so, it was a rare moment of inattention to Oswald in Langley. You won’t hear it about it from Sullivan or Kaplan but the most important JFK revelation since Oliver Stone’s movie ruffled Washington feathers 20 years ago is this: the number of senior CIA officers who knew all about Lee Harvey Oswald before JFK’s assassination was not small. They included a group of a dozen or so senior undercover officers who reported to deputy director Richard Helms and counterintelligence chief James Angleton. None of these officers ever acknowledged hearing about Oswald’s attempt to kill Walker. But CIA records declassified since the 1990s demonstrate beyond all doubt they knew a lot about Oswald in the fall of 1963. These CIA officers knew where Oswald was born and that he had served in the Marines. They knew about his defection to the Soviet Union in October 1959. They knew he had returned with a Russian wife. At least one of them (Angleton) had intercepted and opened Oswald’s mail. Some of them knew Oswald had been interviewed by the FBI. Angleton’s staff was informed by the FBI about Oswald’s pro-Castro politics and his encounters with a CIA-funded anti-Castro group in New Orleans. They all knew about Oswald’s peculiar trip to Mexico City in October 1963 and his contacts there with suspected Cuban and Russian intelligence officers. — and Anne Goodpasture, Scott’s canny assistant. Six CIA officers who knew about Oswald when JFK was living. Individually and collectively, these covert operators knew that Oswald fit the profile of a security risk to U.S national security in many ways. Yet when Mexico City station chief Win Scott asked CIA headquarters for its assessment of Oswald in early October 1963, associates of Helms and Angleton’s collaborated in writing a four-page cable to Scott that that concluded with the sage observation that Oswald’s time in the Soviet Union had a “maturing effect” on him. None of them recommended taking any security action in response to Oswald’s leftist politics, provocative actions, or foreign contacts. Forty three days later, JFK was shot dead and the “maturing” Oswald was arrested for the crime. It is possible that Sullivan, a Brit of catholic interests, has not drilled down on the history of the CIA. Kaplan’s research into JFK conspiracy theories in the 1960’s and early 1970’s preceded the documentary revelations of the 1990s. They should know some of this history but evidently do not. Certainly Doris Kearns Goodwin, Robert Dallek, and other respected historians of the airwaves are familiar with the upper echelons of the CIA in November 1963. They all prefer to talk about JFK conspiracy theories rather than CIA history. I do not want to litigate Oswald’s role in the events of November 22, 1963, in this article (except to say it was not wholly innocent). Sullivan and Kaplan are determined not to get dragged into an interminable debate about JFK conspiracy theories with obsessive denizens of the chat rooms. And who can blame him? What explains such defensive dogmatism? Is it really so implausible to think that one or more of the CIA officers named above — some of whom feared and loathed JFK’s liberal foreign policies — have been involved in a plot to kill Kennedy? Or that they might have chosen not to investigate a plot by others that removed a commander in chief whom they regarded as weak and incompetent and replaced him with Lyndon Johnson, a man of more conventional national security impulses? That may sound far-fetched to those inside the Beltway; it will sound all too plausible to others whose livelihoods do not depend on Washington respectability. Given the fact that the CIA retains more than 1,100 documents related to the JFK’s assassination that have never been made public, the possibility cannot be dismissed. Even CNN’s Thom Patterson admitted as much this week. That’s the problem with our stupid JFK conspiracy debate. It means that some of our best journalists do not think to ask, much less answer, a seemingly taboo question on the 50th anniversary of the Dallas tragedy: Did the CIA’s mishandling of intelligence about Oswald contribute to JFK’s wrongful death? That’s just not a question American journalists or historians care to address. They just won’t do it. Period. Do you like this kind of reporting on the JFK assassination story? Then support JFK Facts with tax-deductible donation. We depend on readers like you to publish JFK stories that major news organizations prefer to ignore. These very questions have been asked for 50 years. But where do these questions lead? Back to more speculation and a huge mess of alternate scenarios where Oswald is either a shooter, an accomplice, or a complete patsy. Maybe Sullivan and Kaplan are aware of this seemingly never ending circle of conspiracy debate, and chose not to go down that path. If you’re correct w/r/t Sullivan and Kaplan, perhaps they should just not say anything rather than insist that it was Oswald and Oswald alone. It’s obvious that a lot of people who’ve been writing on the subject recently, including Adam Gopnick and James Wolcott, haven’t done any serious reading on the subject. I can only assume neither Sullivan nor Kaplan have either. Maybe Sullivan and Kaplan found indisputable evidence that satisfied their doubts of the “official” investigation and are convinced (as I am after years of doubting the Warrent Commission) that Oswald was the assassin. 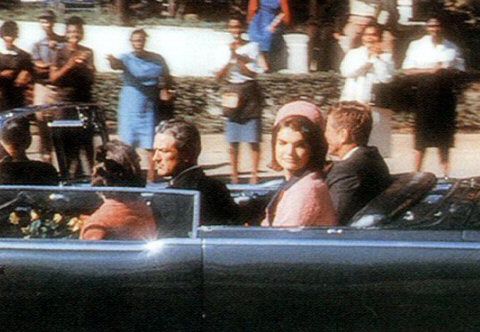 The assassination by a lone gunman is not hard to believe, given the short distance the sixth floor window was to the motorcade, and the very slow speed of JFK’s limo. Oswald qualified with a rifle in the Marines and was a pretty good shot. Not an expert, but certainly good enough to do it. There is so much evidence that Oswald did it, I don’t bother with JFK conspiracy theories anymore. No amount of “new evidence” will change the facts. If one doesn’t want to deal with those questions, the best course of action is to avoid the topic altogether not ridicule people who are skeptics. Unless one has blinders on, it’s impossible to look at all the unusual stuff and strange coincidences in the JFK assassination without some suspicion or skepticism. I echo your point. I find it “baffling” and have come to the conclusion that the issue is too difficult to think through for many people; it would upset their view of what “America” is – or better, has become. When I grasped that the assassinations during the period 1963-1968 were political and were aimed at the individuals who had the ability to combine the interests of the poor and the middle class, the picture became clearer as it became sadder. Excellent point. Domestic political assassination/terror is supposed to be something that happens in Stalin’s Russia, Hitler’s Germany, Latin American military regimes, etc. Even the slightest chance that something like that might be uncovered here makes people so uncomfortable, they can’t even date to think about what might have been uncovered by a legitimate inquiry into the Kennedy assassination. Or someone could connect the dots and say that CIA and the Mob have worked together for a long time, so they could be on the same team. Similarly, Lyndon Johnson, a desperate climbing politician who would stoop to any low level, even murder, to grasp at power, could have been on the same team, along with Allen Dulles and J. Edgar Hoover, maybe throw in Curtis LeMay and you could actually have a coup. If “Seven Days in May” could envision a coup, and if other countries could have had coups throughout history, why couldn’t they happen here? Certainly John F. Kennedy entertained the idea when speaking candidly to his friend Ben Bradlee (Conversations With Kennedy). There was absolutely nothing linking Oswald to the Walker shooting before 11/22/63, and in fact the bullet dug out of the wall by police was identified as a 30.06. During the HSCA hearings, Walker saw on TV the bullet allegedly removed from his wall, and wrote a letter to them saying that it was not the bullet he had held in his hand that day. I advise Fred Kaplan to look at the Zapruder film rather than Dale Myers’ make-believe animation and verify for himself whether Connally is really sitting in a hole several inches lower than JFK. It is a documented fact that the jump seat was inches below tha level of the rear seat. To ignore facts is to impeach your position. Connally was two inches taller than Kennedy. If you examine all the photographic evidence from the motorcade, you may notice that the tops of their heads are at the same level. But Myers deliberately changed the positions of the men to make the SBT “work” – it still doesn’t, though. We know that JFK’s seat could be raised and lowered by a control at his side. Look at this photo; both men are essentially at the same level. Myers greatly exaggerated Connally’s position. I think everyone has to admit that the single bullet hypothesis is plausible in theory, as the second picture I think shows pretty clearly. However, combined with the facts of the case (CE399, etc. ), I just don’t think it happened this way. I think the second picture also rather clearly shows how implausible it is that fragments from the head shot (which was allegedly taken at a downward angle from the 6th floor) would somehow go over the windscreen and hit James Tague. Even a fragment hitting the molding seems a stretch, though perhaps you could see a fragment from the head shot making a mark further down the windscreen. Also, look at JFK’s coat in both pictures. It bunches somewhat, but not nearly enough to account for the discrepancy in positioning of the holes in his coat and shirt, which were about the level of the 3rd vertebra, in the upper back. This location is also corroborated by the JFK death certificate, signed by Dr. Burkley (and not published in the WR), and also some of the autopsy materials. This is just some of the myriad of evidence that makes the SB hypothesis fail. TLR, In reply to your post below, the Croft photo at my first link was taken on Elm Street at Z161. Most theorists place the “single bullet” shot about 3.5 seconds later at c. Z223. Since JFK’s hands are visible throughout, there’s no way he could’ve lowered the back seat after this photo. TLR I guess the Altgens photo was faked,too. I guess Dave Powers faked his movie, too. Please explain Sylvia Styles & Victoria Adams being on the TSBD stairwell at the same time Lee Oswald was allegedly moving himself down from the ‘sniper’s nest’ to the 2nd floor lunchroom & neither woman seeing him coming or going; were they both too busy talking to each other to notice him? Since we KNOW Oswald did the shooting, just how did he get past those 2 ladies? Beaming one’s body from one place to another didn’t start until ‘Star Trek’ several years after JFK was ambushed. This is really a matter of who wins the attention of the American public. I say the credible and common-sense approach of Jeff and other journalists and researchers like him will win out. I agree with your assessment, bogman. But right now there’s a media popular culture circus going on, celebrating Camelot, hitting hard against “conspiracy theorists/buffs” and trying to hold the lid down on questions that threaten the complacent, denialist status quo. It took at least one hundred years after Lincoln freed the slaves before sharecropping, Jim Crow, lynchings and “separate but equal” could be overturned in favor of real equality, and even now there are still some racists who want to deny the change. So with regard to the JFK assassination opening up a window on an ugly US military/intelligence power structure run amok, it will take time, but the truth will come out. It has to. Nobody can seal up the truth forever. It always leaks out, sometimes in ways nobody can foresee. Something tells me they might’ve had quite a problem on their hands, hence the cover-up. I LHO assassinated JFK alone and unaided or at all, and there was no conspiracy then did he write this in November 1963….”1. Americans are apt to scoff at the idea, that a military coup in the US., as so oftens in Latin american countries, could ever replace our government, but that is an idea which has grounds for consideration. W hich military organization has the potentialities for executing such action? I thought Jim Gartison had it all wrapped up ? Remember Clay Shaw ? There has been no evidence of a conspiracy only theories and talking heads wasting their lives in this continuous circle jerk. If there was a second shooter he got away and no one knows who he was. Next stop 2017, I’m putting this to rest until then and see what happens….probably nothing but I’ll be there. Every year for the last several, after reading new material, discussion with friends, trips to Dealy Plaza I get so frustrated and apathetic. This is a large part of why. 60-70-80% believe conspiracy of some sort. But nothing happens. It’s ignored, swept under the carpet. The public research community overall has done an outstanding job digging out the bits and pieces that fit together and add up. Thank you. For the sake of out children’s children we must persevere, keep fighting the good fight, abolish the ignorance. While it has taken this long to get this far I now know more than I ever thought I would live to see. These men are ostriches’ with their heads in the sand. This is the most bizarre and least defensible statement I’ve read on this blog. “he gave a copy of the photo to his friend, George de Mohrenschildt, an itinerant oil engineer who fed intelligence to the CIA to advance his business interests. On the back of the photo Oswald scrawled the words, “Hunter of fascists, Hah.” Oswald told de Mohrenschildt that he had taken a shot at Walker. Not to mention that the HSCA rejected the idea that the “Hunter of fascists” inscription was in Oswald’s hand. On another thread at this site, there is discussion about the attempt on Edwin Walker; and on yet another thread there is debate about deMohrenshildt’s activities on behalf of the CIA. Did deM fuel the speculation of Oswald’s involvement in the Walker incident? and was the CIA behind deM’s speculation? On the other thread you suspected Gen. Walker and the neo-Nazis of fueling this speculation. Now it’s deM and the CIA? Suspicion is notorious for providing “context.” Not good at providing evidence, though. I see little separation between the two, actually. deM had a history of collaborating for convenience and advancement, including with Nazis and/or supporters of the Third Reich. As far as I know, had Oswald lived, he would have been a suspect until proven guilty. You, nor anyone else, has proven beyond a shadow of doubt that Oswald was guilty of shooting the president. You have your suspicions, based on evidence that has been challenged in the court of public opinion, that is all. Conspiracy theorists have “challenged” the evidence for 50 years, but it’s still there. No one has ever given an explanation for all the physical and circumstantial evidence against Oswald that’s more plausible than the obvious one: he did it. Just one example — Who has explained how the plotters made sure that Oswald didn’t go outside and have an airtight alibi? How many conspiracy theorists have even tried to answer that question? I’m surprised at this question. The whole point was that Oswald would remain inside the building ensuring that he would play the role of patsy. Your unequivocal certainty of his guilt is evidence of that success. Those responsible for the assassination were not concerned that Oswald have an alibi, on the contrary. The plan was perfectly designed, Oswald followed orders until he realized that the Texas Theater was not a rendezvous, but a trap. He then began to talk. And then he was murdered. An insidious aspect of the cover-up was that it inspired ridicule of anyone who challenges the official story. By resorting to the conspiracy theory meme – rather than respecting your fellow Americans who want answers to the contradictions in the Warren Report, who want to read the CIA files that by law now belong to us – you fall victim to that manipulation. I’ll take a stab at this, Jean. I think Oswald WAS in on the conspiracy. He had a role to play, saw too late that he was a stooge, but got trapped. Then, before he could talk, he was conveniently bumped off by someone with mob connections who told the Warren Commission that he wanted immunity and to be taken to Washington to talk freely about how big the conspiracy was. But the Kangaroo Court Warren Commission didn’t want that kind of truth to leak out, so they quickly pushed the “Oswald did it all alone” b.s. Incidentally, the Warren Commission wouldn’t be the first time that the government lied. They lied to the Indians time after time, promising in treaty after treaty that THIS TIME they would be left in peace. Oklahoma was the last straw. Finally, Harry Truman even said that CIA should NEVER have become the ‘cloak and dagger’ agency it grew into, which he said was not good for our country. He advocated scaling it back, but by this time (December of 1963) he was just an ex-president, and was ignored. Kennedy tried to scale back CIA but was removed from power. Now CIA is sitting on secret files that they don’t want the public to see. Why? Because it might show that the Agency was implicitly involved in the JFK assassination. We who question this idea can’t make a final conclusion until all of the files are released. That is the “challenge”. It’s been 50 years, but we can’t see all of the files? That’s ridiculous! Don’t you agree, as a writer and as an historian? Lone-nut theorists have defended the evidence for 50 years yet most Americans are still unconvinced Kennedy was killed by a lone assassin. It’s not because of conspiracy theorists. It’s because of shallow things like claiming that three bullets struck Kennedy and Connally then changing it to two bullets once they could no longer suppress the fact that one shot missed the limo completely. The government’s response to the assassination is what created 50 years of skepticism and speculation. Even if Oswald was the only shooter (which again, I don’t believe), I believe there likely was a conspiracy. I think this option is something that is often overlooked as we get lost in the minutiae of the case. I think we’ve already seen that witnesses can be intimidated to testify in whatever way the government wants. It wouldn’t be hard to discredit an alibi, or to ignore it. The official investigations were rather adept at ignoring evidence and people who suggested conclusions that were different from the preordained Oswald thesis. Many think Oswald did have an alibi. He was in the lunchroom at the time of the shooting. The rebuttal is a tautology. He wasn’t in the lunch room because he was upstairs killing Kennedy. And your contra-positive hypothetical example is not “evidence”, circumstantial or otherwise. If Oswald were clearly NOT the shooter we could easily be debating a myth in which he furnished the gun, yet still failed to identify the breadth and depth of the killers. And there was always a genuine risk that the conspiracy would be unmasked, only it wasn’t. Ours is not the only banana republic that told a false story to the public. Regardless, the official story never worked. I don’t have to explain how government arrived at its incorrect story, only that the story is implausible, and not proven, even when specific theories about other assassins are even less plausible. The government story is that 1.) there was one and only one shooter, 2,) the shooter was Oswald, and 3.) there were no other confederates involved. This leaves many possible permutations, some of which involve Oswald. There is a huge case for multiple shooters based on the physical evidence, irrespective of the case against Oswald. There is a huge case to be made that “the fingerprints of intelligence were all over Oswald.” Wittingly or unwittingly, Oswald was watched by and involved with government agents who had the means, motive, and opportunity to kill JFK, frame Oswald and later obscure parts of the investigation. He was not the loner, leftist portrayed by the Warren Commission. That’s enough for reasonable doubt. It’s not my job to solve the case. deM never collaborated with the Nazis: this is a story the OSS put out to keep people from suspecting/accusing him of working for American intel groups…also, this story never amounted to any sort of ‘history’. I concur, disappointing. I am also disappointed to listen to Mr Morley on the 49th episode of 50 Reasons for 50 Years by Len Osanic. Which is a great series. Not buying who you say you are, Jefferson Morley. No way. Had to stop reading at “It is well-known that in April 1963, Oswald took a shot at General Edwin Walker.” Please provide one iota, one scintilla of physical evidence. Even the Dallas police said the Walker bullet was a 30.06. If this is the best you got, it ain’t good enough. Walker is one of the foremost suspects in the assassination, at least to a living, breathing, cogitating person. He took pictures of Walker’s house. The bullet’s chemical composition matched the same batch of 6.5 mm rounds that Oswald had. Walker is a suspect in the assassination? Really? So do you think Walker was hallucinating when he said that the bullet the HSCA showed on TV was not the one he held in his hand that night? Why then do you think Marina said he took the shot at him? I’m not sure what I think one way or the other but it’s a fair question. Marina made several statements which turned out to be untrue or unbelievable. But there’s enough corroboration for the Walker incident to say it’s probably true. The HSCA staff actually had a lengthy report called “Marina Oswald Porter’s Statements of a Contradictory Nature” which outlines all the different stories she told the FBI, SS and WC. But the FBI found the Walker photos before Marina volunteered the information. Those backyard photos of Oswald are quite likely fakes. No serious photographic study of the photos has proven any evidence of alteration to the photos. Marina said that she took the pictures. No one has been assigned as Judge and Jury in this case. The issue most certainly is not settled. Philip Shenon’s new book, “A Cruel and Shocking Act” (see my review at http://www.cleveland.com/books/index.ssf/2013/11/journalist_philip_shenon_inves.html#incart_river) provides a lot of detail about Oswald and the CIA in Mexico City, enough to raise doubts and give the Warren Commission a little break because it was kept in the dark. Yet, to tie the CIA’s bunch of incompetents, drunks, psychotics and mediocrities to the assassination of a president overlooks the CIA’s history of screw ups from the Bay of Pigs through Vietnam, Watergate and Iran. If it could kill a president in broad daylight, why couldn’t it kill the dictator of a third-world country in who knows how many attempts? Not sure where to put this but I’ll try to respond to two posts here. Oswald was NOT “conveniently” bumped off — that’s the point. Instead of killing him at the scene or picking him up in a car and killing him elsewhere (which actual plotters with any brains would’ve surely arranged), Oswald was permitted to escape, wander around and get arrested. Before he was “silenced,” Oswald talked to lawmen, his family, a Dallas lawyer and reporters in the hallway. He even gave a press conference heard around the world. He said not one peep about any conspirators setting him up. He blamed the police instead. Oswald had no lunchroom alibi, since no one saw him there until Officer Baker arrived and spotted him in the foyer off the lunchroom “walking away from the stairway.” Re-enactments have shown that this happened around 90 seconds after the shots, or at approximately the same time that a sniper would’ve arrived there after leaving the 6th-floor window and coming down those stairs. Oswald being seen in that particular spot along the sniper’s likely escape route at that particular time — What a coincidence! 1.) Officer Baker saw Oswald very shortly after the assassination. 2.) Oswald made a correct and verified assertion that EARLIER than the Baker encounter, he Oswald, encountered two other employees in the lunch room. Perhaps just a good guess, correctly identifying two employees out of seventy or so when he was not even in the room, or was he? 3c.) Weisberg does an excellent job of showing that there was no way the rifle could have been found where it was in the position it was by simply “tossing” it on his way out. It was clearly placed in a hard-to-get-to location. Therefore, we disagree over whether it was possible for Oswald to both shoot, move boxes, hide gun, and then get to the lunchroom in time to encounter Baker, and this would be an alibi, which in my mind needs to be fully litigated, in the absence of which there is reasonable doubt. Finally, the suggestion that this was the one and only “escape” route and timing is not “evidence” its another false “dog didn’t bark” contra-positive. LHO was an employee whose presence anywhere in the building would not be suspect, even where the gun found while he was in the building. It took time to find the gun, and it was registered to the Hidell alias not to Oswald. Oswald could vacate the building at his leisure. Both of our viewpoints are opinions about Oswald, which are not fact. I feel that needs to be stressed, if I didn’t do it in my previous post, shame on me. That said, I think Oswald was supposed to be killed either on the street, or in the theatre, but the cops bungled it up, just as they clearly bungled up the chain of evidence retrieval in the TSBD, not screening off the sniper’s nest quickly enough, touching things in the TSBD crime scene, etc. Anyway, my opinion is that Oswald, not being killed as planned (even well planned conspiracies have things that go wrong), had to be killed in a back up plan, while being transferred. One of the key problems with getting him into custody alive was people would hear his voice, which would mess up the Mexico City phone recording that CIA/the embassy had. So that phone recording had to be destroyed. Also, it was inconvenient to have to go through the motions of interrogating Oswald, although very little in the way of transcripts or recordings were made. You may be correct about Ruby wanting a lie detector test. I’ll have to research that part of the case more fully. and how did oswald cordinate his shots w the grassy knoll? how about the guy in the man hole? did you join the recent protests of these organizations? We do not know with absolute certainty whether LHO shot the rifle from the SBD, whether he alone did this, or whether there was a conspiracy to murder the president. 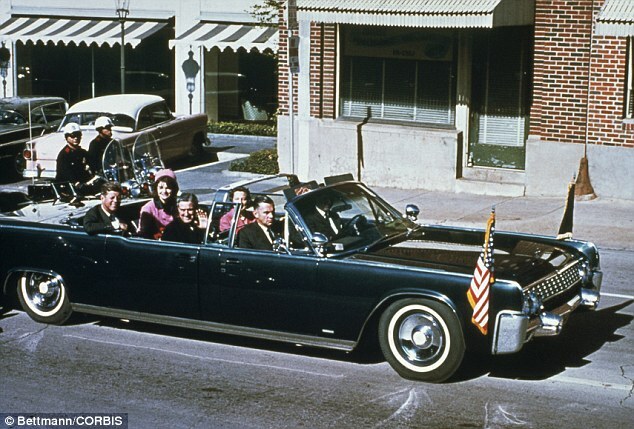 We do however know that important evidence such as the limousine/ the presidents brain/the pathology slides/some of the ballistic evidence/notes of accounts and statements by quite a number of potentially relevant witnesses/ original evidence/ the Secret Service firearm/ and some proper records of statements were absent from the Warren Commission proceedings. Also, we know that the Commission seemed to exclude its attention from much of the eyewitness evidence available that very much countered the theory of a single trajectory of gunfire. Added to this was the clear fact of cover up by the intelligence agencies and Secret Service of the evidence vital to proper investigation. It must be acknowledged that so many chains of evidence were disturbed by police, agencies, and Secret Service. I am surprised that there are posters on this site that do not entertain any desire to investigate the many questions posed rather than satisfied by the Warren Commission findings.